Condition: Good condition based on rules. I'll try to get a picture of the small depression in the silver frame just below the space bar. Can only be seen while looking down at the screen. Not sure what caused it. Otherwise it's Fine condition. Could you have the phone unlocked? Never had them approve an unlock that quickly before. Anyway, I guess it's approved and the device is unlocked. We received and approved your request to unlock your BlackBerry SQW100-3 device. Use the unlock code and instructions in this email to unlock your device. Ten unsuccessful unlock attempts permanently locks the device to the AT&T network. 1. Power On the device with a non-AT&T SIM card. 2. Let the device fully load. 4. Select Security and Privacy. 7. Enter the unlock code and press OK.
8. The device displays "Network unlock successful." Looks like it worked.. put my son's SIM card in and it showing unlocked with his Sprint SIM. Can an Admin can adjust the title to include UNLOCKED? I'll take it. PM me your info please. Hell of a deal for the best version of the Passport. Congrats. No reply or payment from DMD... will wait til noon EST today then will move to next in line. krazyatom and meattray like this. Sorry for not responding faster. Current phone had crashed and I missed your response. Congratulations on your sale. Why is my computer (windows 10) no longer recognizing my BlackBerry Priv? 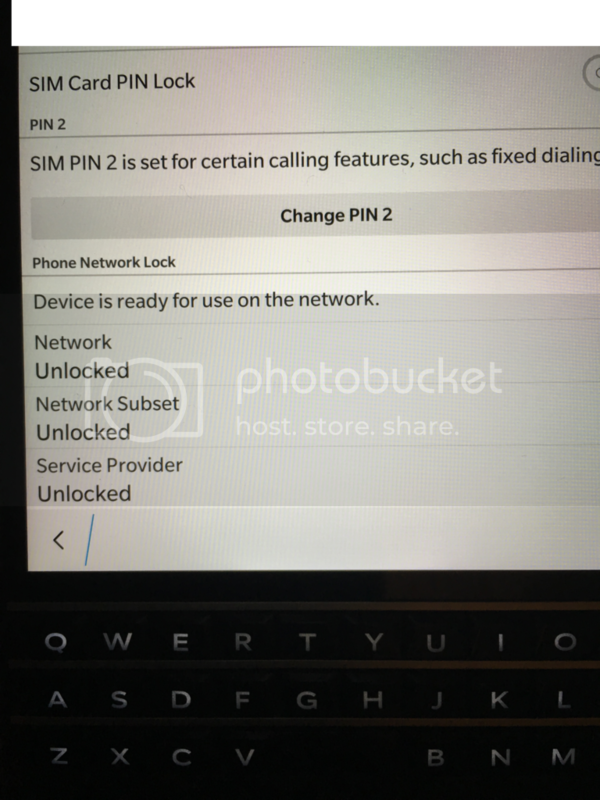 Autoloader blackberry passport 10.3.3.2163 Leak?